McClure Contracting, Inc is a family owned construction company in St. Petersburg, Florida. We specialize in solutions for complex remodeling and problem solving for existing structures. Our company will help you through your project from beginning to end. Our staff will handle design, demolition, framing and finish carpentry, while helping you order all materials necessary to create the look and feel you desire. No job is too big or too small. McClure Contracting is licensed with the State of Florida CBC1254201 and has received an A rating from the Better Business Bureau. Van Selow Design Build L.L.C. As state licensed building contractors, Enguita Construction continues to grow as a successful, family owned and operated company with 30+ years of experience in the remodeling industry to the Greater Tampa Bay area. 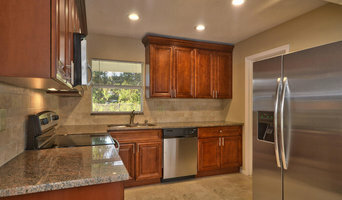 While currently specializing in kitchen & bathroom remodels, we offer an exclusive variety of services including whole home renovations, room additions & commercial remodels. Our goal is to reach the highest level of satisfaction with our customers by providing exceptional service and executing a stress-free experience. We demonstrate superior craftsmanship and are a highly recommended company throughout our community. Our true colors are exhibited through our prestigious reviews. -“If there was a 6 star rating then I would give that.” -“Professional, knowledgeable, reliable and fantastic workmanship are just a few of the descriptions I can use for Jim and his staff.” -“I would recommend them to anyone who wants to work with real professionals. Thanks once again, Jason and Jim.” Along with multiple awards and badges to the Houzz program, we are also members of NARI, and linked throughout all social media networks. As long as we stay focused on his word and take advantage of each and every opportunity He gives us in business and in our lives to share the Gospel of Jesus Christ, He will continue to bless our family, our company and our customers. Thank you for your interest in our company and God Bless. Contact us TODAY to schedule an estimate; we look forward to helping you achieve the creation of your dream home! Cabinet Retailer - Kitchen Design and Remodeling We offer 20+ years of experience in the business, and our goal is our clients satisfaction. From concept to installation, we will be there for you every step of the way, bringing your dream kitchen to life. Best of HOUZZ 2014-2019! Lindross Remodeling is a full service boutique remodeling firm serving the Tampa Bay area. 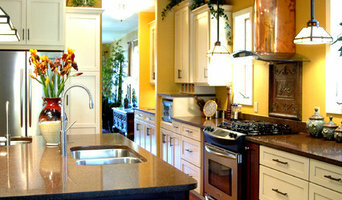 Lindross Remodeling specializes in custom kitchens, bathrooms, additions, whole home renovations & outdoor living projects. Authorized Dealer of Medallion Cabinetry. 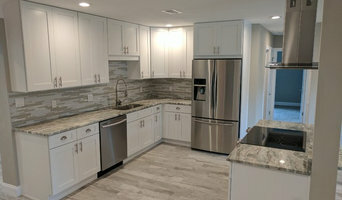 Lindross Remodeling's talented staff assist homeowners with planning & designing their remodeling projects to accommodate a broad range of budgets with a client-focused approach, expert installation and attention to detail project management. 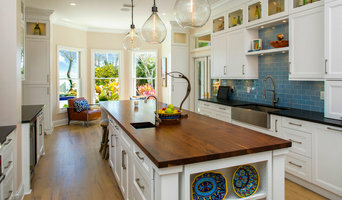 Tampa Expert Kitchen & Bath Remodeler Best Of Houzz 2016-2019! Urban Concepts Modern Hearth & Outdoor, Inc.
Urban Concepts Modern Hearth & Outdoor, Inc. is your premier source for fireplaces in the Tampa Bay Area. Since 2007, we have served the Commercial and Residential Contractors Industry with equipment sales and consultation. We offer our Retail customers complete design/build including custom cabinetry, stone and tile, outdoor kitchens and of course fireplace renovations . Natural Gas? Electric? Bio Ethanol? You will marvel at tailored design options with a focus on attention to detail and outstanding service. Pinellas County’s Premier Home Remodeler!